An unseen Saint Ladislaus fresco discovered under the centuries-old mortar of the Fortress Church of Marosvásárhely/Târgu Mureș has irreversible consequences on both the perception of Saint Ladislaus mural paintings and the age of the church, suggests Lóránd Kiss, the wall painting restorer leading the restoration works, in an interview with Transylvania Now. Visual representations of the Saint Ladislaus legend usually contain the same elements: the king chasing a Cumanian soldier who kidnapped a Hungarian girl and then kills him in a duel, or the scene when he leaves the fortress of Nagyvárad/Oradea. The scenes are usually the same, the only variations they have noticed are in small details and the style of the artist. Hence the experts believe there was an old masterpiece, which artists try to imitate. The recent discovery shows off the scene when Saint Ladislaus (Hungarian king between 1077–1095) saves the Hungarian girl kidnapped by the Cumanian solder, as well as the cathedral from Nagyvárad, and dates back to the late fourteenth or early fifteenth century, the restaurateur says. 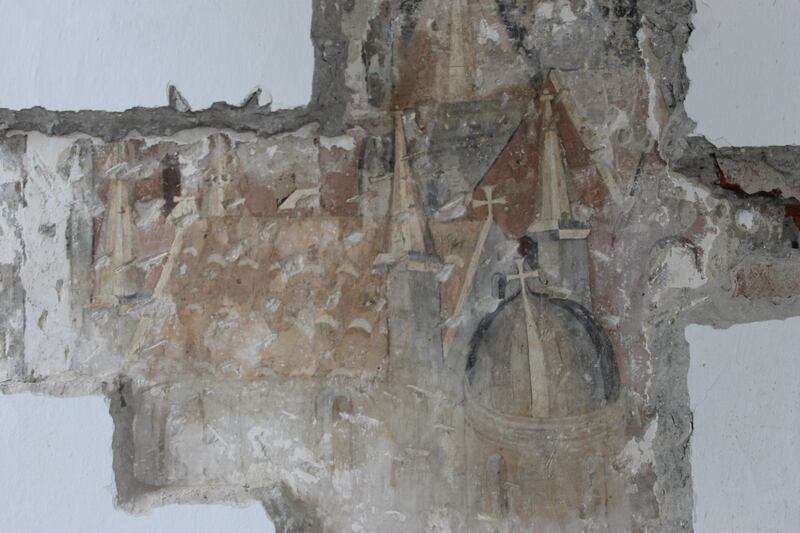 The dating of the fresco is interesting, because it also dates the church back to mid- or late fourteenth century. The documentation available so far dates the church to the middle of fifteenth century,” he adds. 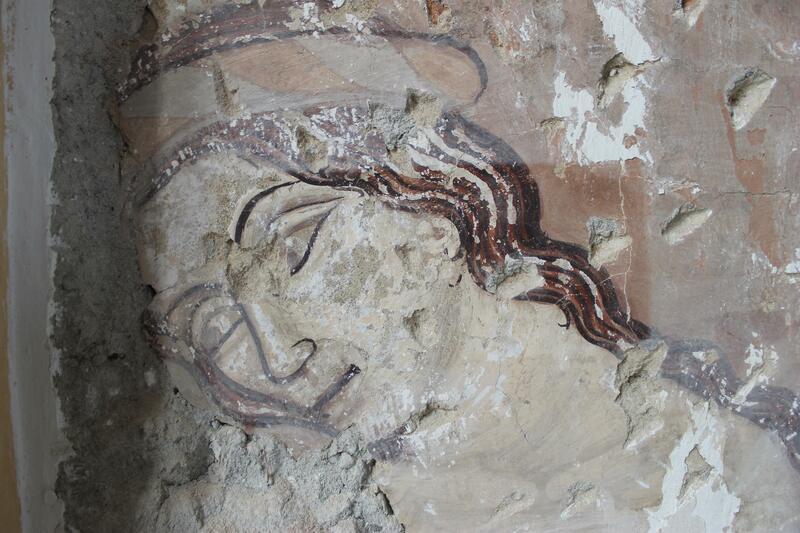 The freshly uncovered fresco is now an integral part of the Saint Ladislaus series seen in small village churches. The discovery happened during regular maintenance and renewal work on the Fortress Church, which started in 2018. The renewal is financed by the Hungarian government through the Transylvanian Reformed Diocese and partly by the local authorities. “With this discovery in mind, we need to re-think the whole restoration process”, Kiss says. His team now focuses on cleaning the fresco and preserving it, and the main goal is to make the treasure available to the wider public.